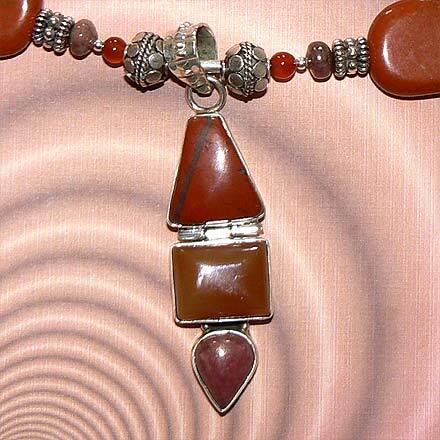 Sterling Silver Red Jasper, Carnelian and Rhodonite Necklace. See Closeup. 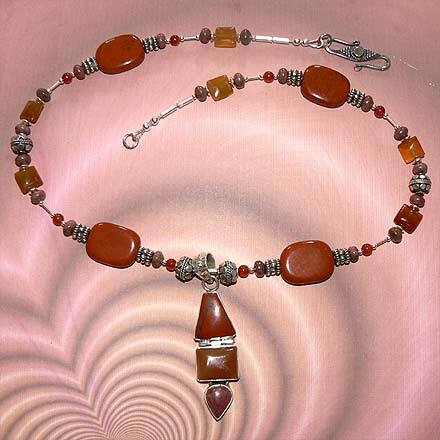 I just love this spectrum combination of these three warm color stones, honey orange Carnelian, peppery Red Jasper and dark pink Rhodonite. For those who are interested in Astrological significances of stones, Jasper corresponds with Virgo and Leo, Agate corresponds with Capricorn and Gemini and Rhodonite corresponds with Taurus.